By increasing the volume of “spray-and-pray” candidates, is LinkedIn really helping the hiring process? Many people think that LinkedIn is up to something brilliant here. “Personal branding guru” Dan Schawbel predicts an end to job boards, and the resume itself–“companies will expect you to be on LinkedIn and if you’re not, then you can’t apply for jobs!” he writes. We’re more circumspect. 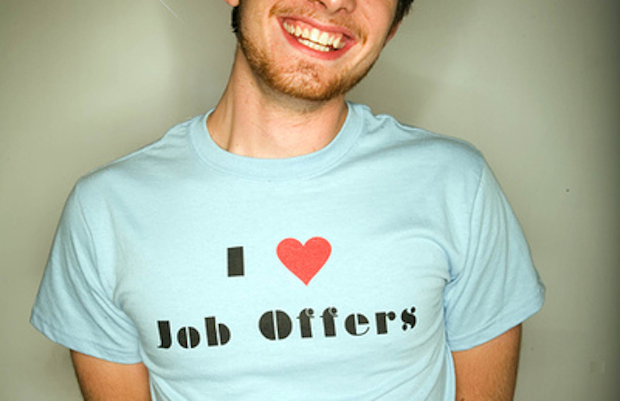 An “Apply with LinkedIn” will certainly make it easier for larger volumes of applicants to apply for jobs. But that’s all it does. To a certain extent, LinkedIn is supposed to be about simulating the world of connections, of schmoozing, of wheeling-and-dealing–the sorts of activities that so often result in business deals or job offers. But “Apply with LinkedIn” leverages none of that (though after you apply, writes GigaOm, LinkedIn will show you contacts you may have at that company). Instead, it seems, it’s really just a glorified resume-submission tool. By increasing the volume of applications–by making it easier for job hunters to use the “spray-and-pray” approach that so rarely works anyway–“Apply with LinkedIn” may only make slush piles even slushier. LinkedIn’s IPO filings show that “hiring solutions” account for 43% of the company’s revenue, so it makes sense for LinkedIn to try to grow that aspect of the site. But if LinkedIn wants to become a truly innovative force in hiring, it ought to focus on leveraging its data to make connections that otherwise wouldn’t be made. If it’s going to increase the haystack of job applications, it needs to help HR people spot that single needle that’s going to get the job done. LinkedIn could also get into the business of crunching its massive troves of data to form connections between employers and potential employees that an HR staff could never manage with limited manpower. If LinkedIn wants to earn its soaring share price in the wake of its IPO, it will need to do a few things. First, it needs to win the international market–and widgets, plug-ins, and buttons aren’t the key here (cultural sensitivity, among other things, is more important). Second, it may need to genuinely disrupt the HR industry. “Apply with LinkedIn,” while undoubtedly useful to some, won’t be that killer app. LinkedIn needs to do more than put job boards out of business. It needs to put head hunters out of business.